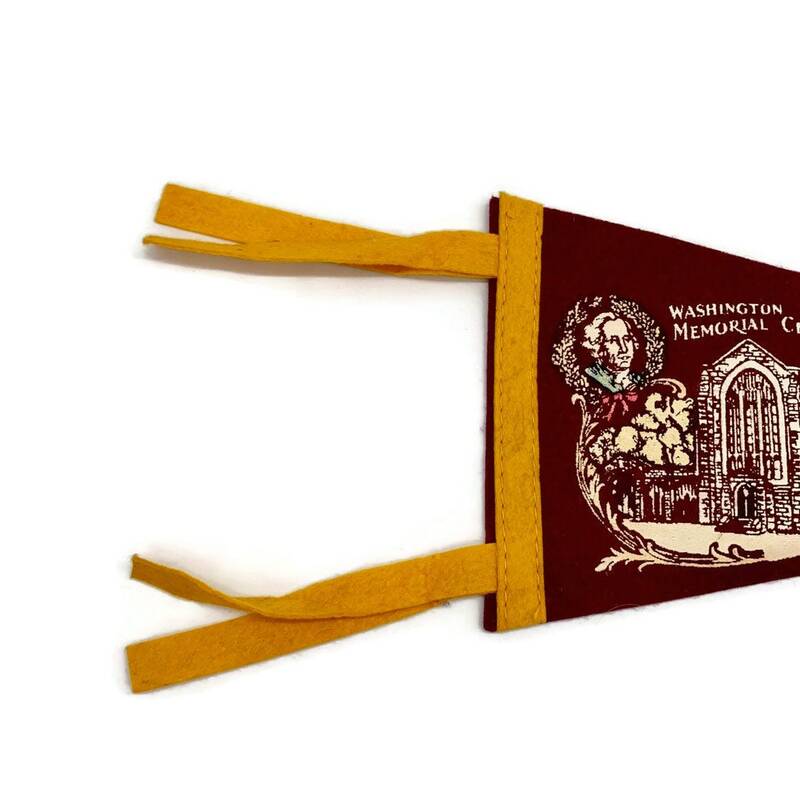 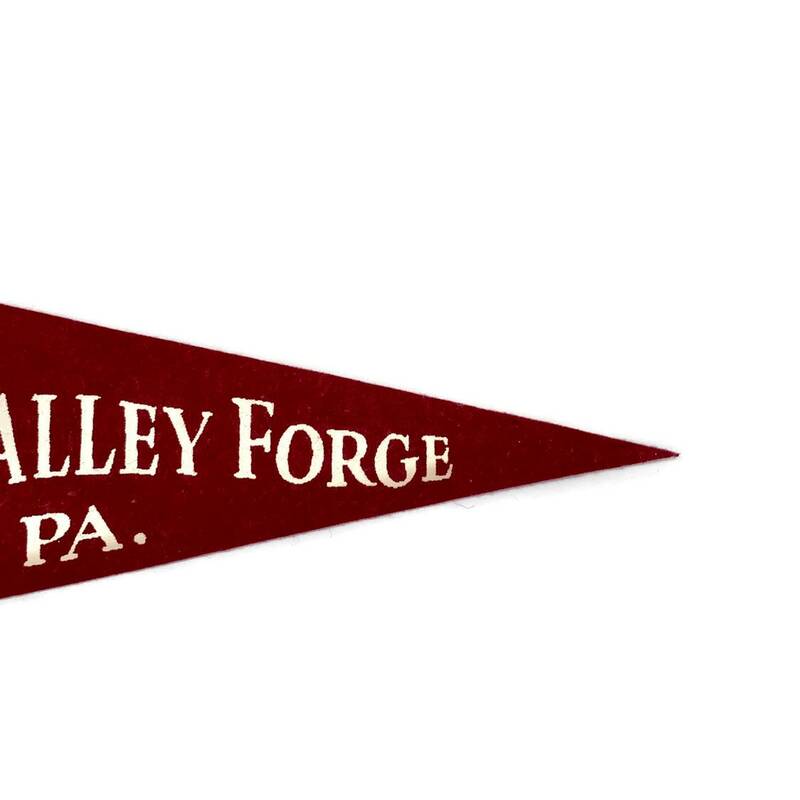 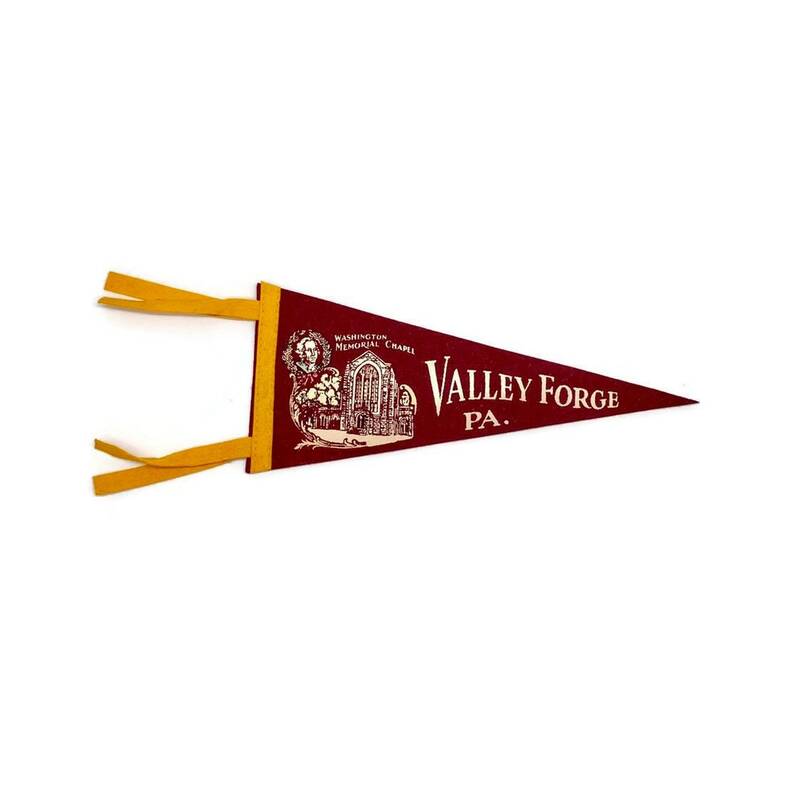 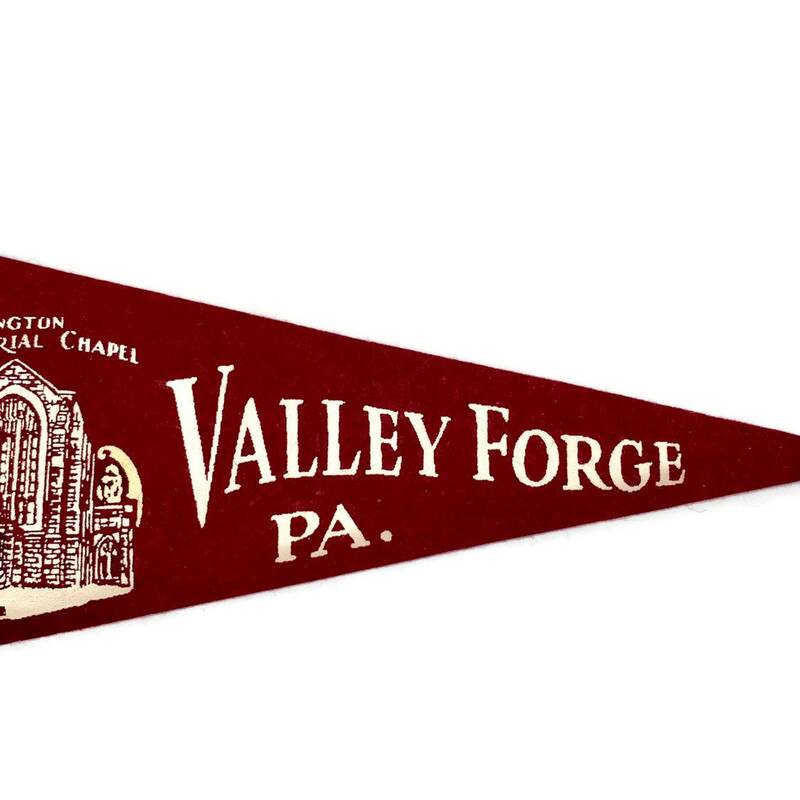 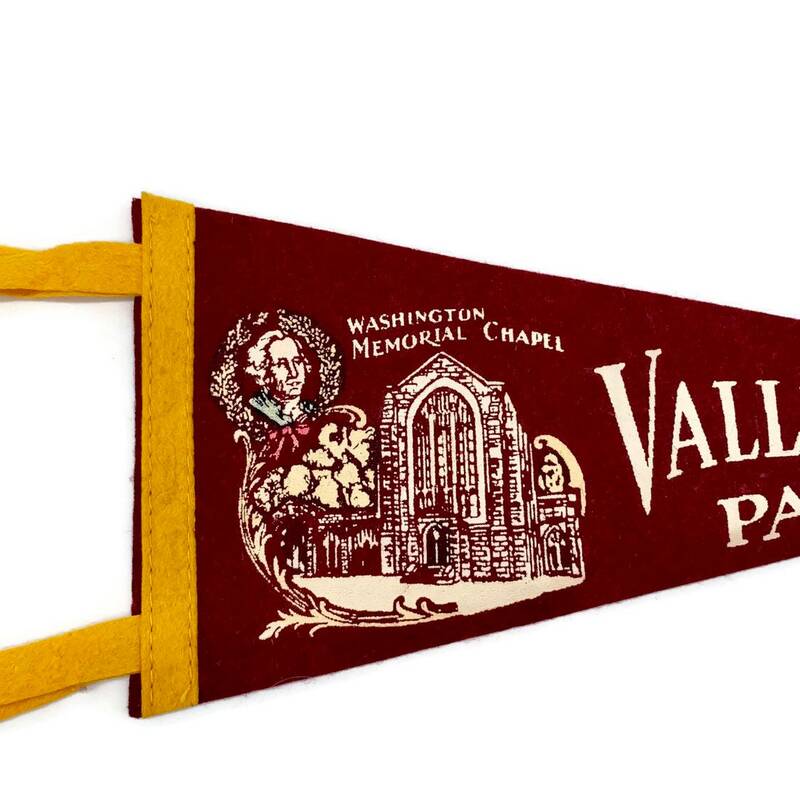 Vintage Valley Forge Pennsylvania felt pennant flag featuring the Washington Memorial Chapel - primarily burgundy with golden yellow ties. 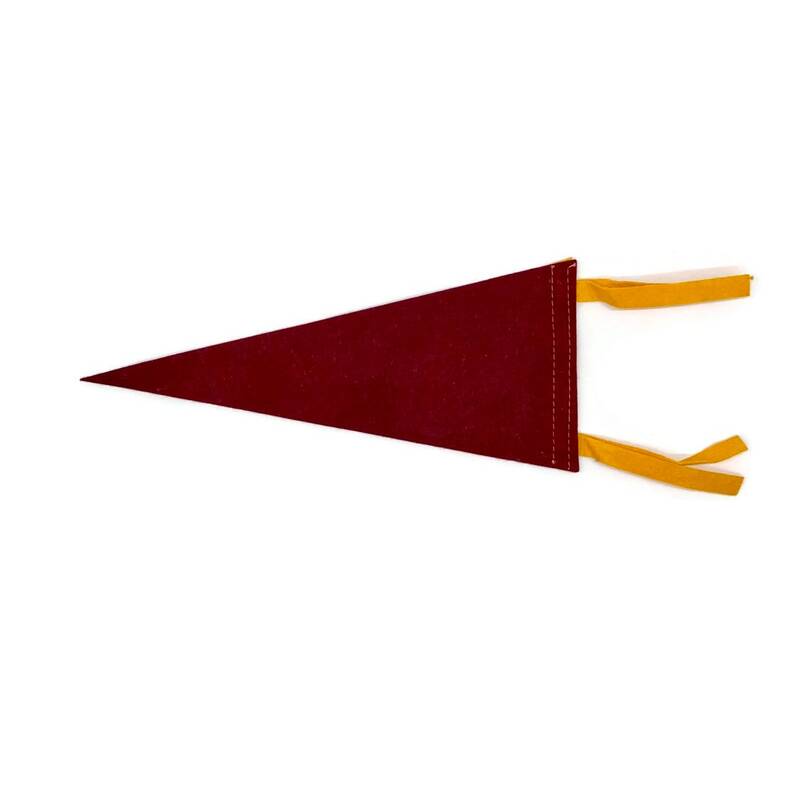 Strong felt but has a single pin hole in each corner. 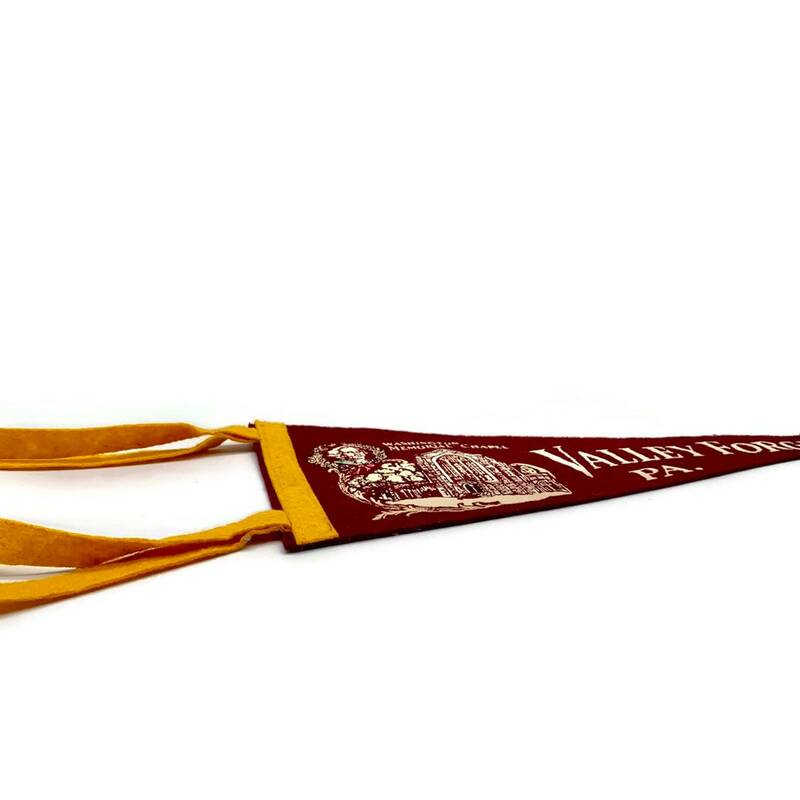 Graphic fully in tact.